3M™ Combat Arms™ 4th Generation Probed Test Plugs, size large are a specially probed version of the standard earplug. This product works with the E-A-Rfit™ Validation Sysem and allows you to conduct an earplug fit test for the 3M™ Combat Arms™ 4th Generation earplug. 3Mâ„¢ Combat Armsâ„¢ 4th Generation Probed Test Plugs, size large are a specially probed version of the standard earplug. This product works with the E-A-Rfitâ„¢ Validation Sysem and allows you to conduct an earplug fit test for the 3Mâ„¢ Combat Armsâ„¢ 4th Generation earplug. 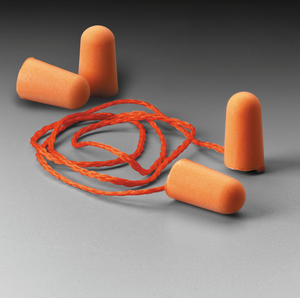 The 3Mâ„¢ E-A-Râ„¢ Combat Armsâ„¢ size large earplugs are designed for insertion into the earcanal to help reduce exposure to hazardous levels of noise and loud sound. The product operates in two distinctive modes: Open Mode and Closed Mode. When used in the Open Mode a specially designed mechanical filter reduces high level peak impulse noise while at the same time allowing situational awareness through audibility of essential signals such as speech and environmental sounds. In the Closed Mode the product functions as a conventional earplug thus providing protection against both steady state and impulsive noise. Switching between the two modes is made easy by pressing the rocker button.